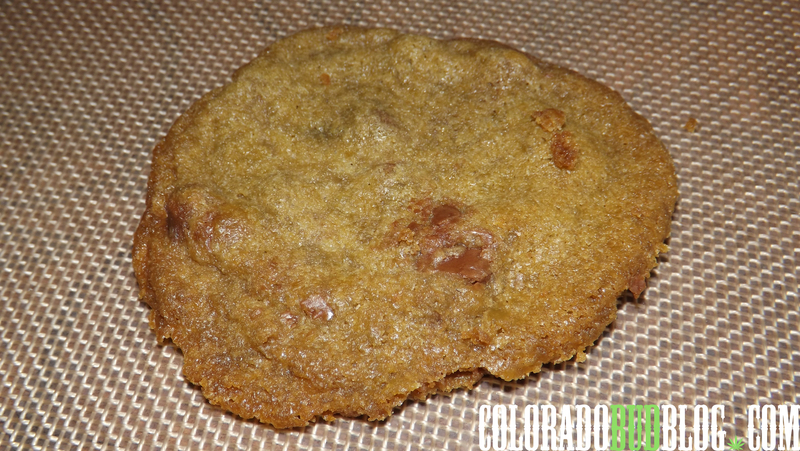 Buying edibles can be tough sometimes, and after reading the Denver Post article showing lab tested results of edibles from many different Colorado based companies (http://www.thecannabist.co/2014/03/09/tests-show-thc-content-marijuana-edibles-inconsistent/6421/), I am even more skeptical about how much THC is in an edible, so when I see Mountain Medicine claiming 200mg in an edible that costs $10, I can’t help but be curious. The first edible I picked up from them was the White Chocolate Berry Bites. Upon closer inspection, the packaging reads 200mg “Active Cannabis”, which makes less sense the more I read it. Maybe it is supposed to mean Active THC, but for the price, it seemed way too good to be true. I am still very confused about the statement of “Active Cannabis”, seems like the company is trying to pull a fast one on people who aren’t educated enough. Nevertheless, I gave the White Chocolate Berry Bites a try. The small, green tinted truffle is hardly inspired. The color alone was enough to make me not even want to eat it. When I see a green edible, all that tells me is that there is a substantial amount of plant material in whatever was used to infuse the product. I cut open the truffle for a closer inspection. 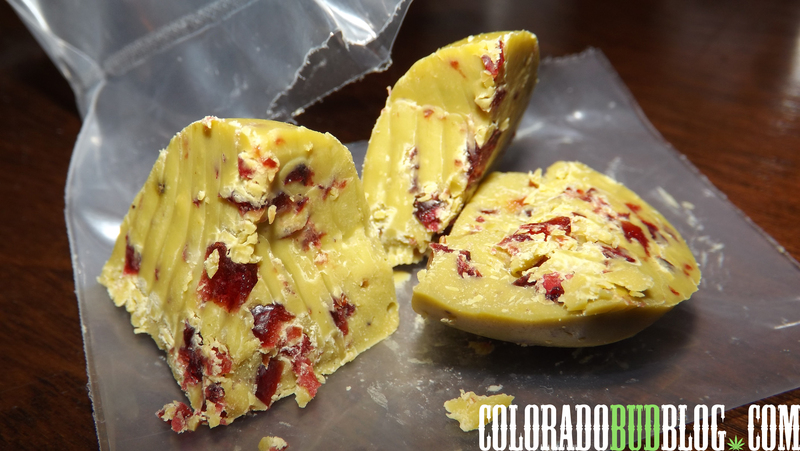 Dried cranberries and blueberries are mixed in throughout the white chocolate. The taste was interesting. It tasted like hashish with a hint of berry. I hate to compare the flavor of one edible company to the product of another edible company, but in this case it just works. In my honest opinion, this tastes exactly like the Hash Berry Tincture from TIncture Belle, and based on the name of this edible, that is an appropriate flavor for it. Now on to the effect. I have a high tolerance, so eating the whole thing quickly seemed like the right move. I cut it up in to 3 pieces, ate it, waited a while, and felt nothing. 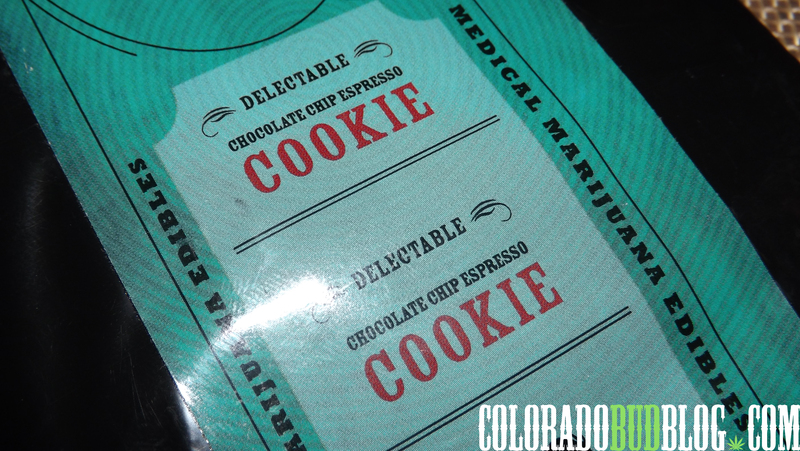 Even with a high tolerance, if this was a true 200mg THC edible, I should feel great, but it didn’t work for me, but I literally didn’t feel a thing,. Ingredients seem pretty typical. No information on if they are lab tested or not, but I would have to guess that they do not lab test their products at Mountain Medicine. Next up is the Chocolate Chip Espresso Cookie. Being a coffee lover, I was very excited to try this one out, but sadly, that’s where my excitement ended for this edible. This cookie is even less inspired than the White Chocolate Berry Bites. It is dinky and thin, although it was surprisingly soft. It had no coffee flavor whatsoever. In fact, it tasted just like the White Chocolate Berry Bites. It had the exact same hash flavor with a hint of berry. I was not impressed. 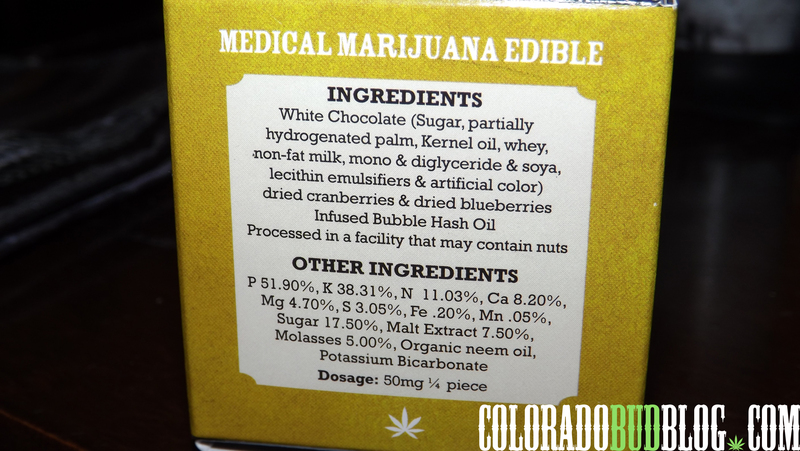 Again, the labeling doesn’t have any information on how much THC may or may not be in here. 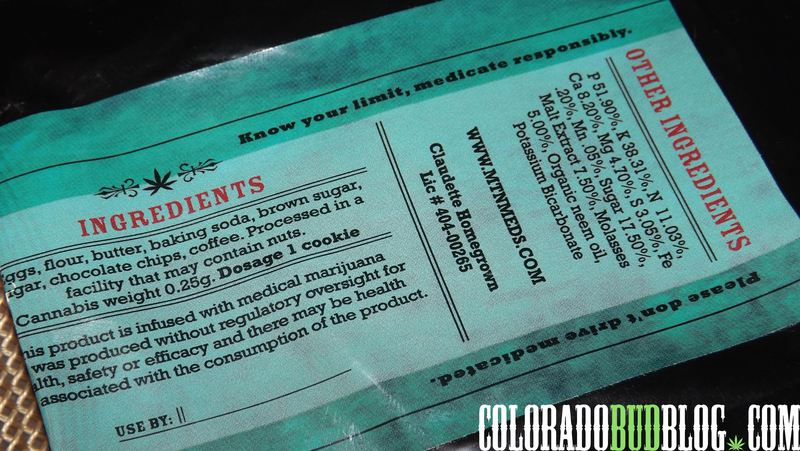 All it says is “Cannabis Weight: 0.25g”, which just makes me think that this company simply put a quarter of a gram of Cannabis in this cookie. I could be wrong, but the packaging leads me to believe that. There was an additional sticker on the package that claimed “75mg”, of what, I’m not sure. Lastly, we have the Blueberry Pie Bar. This one sounded really tasty, especially because I am quite fond of blueberries, but yet again, I was met with disappointment. 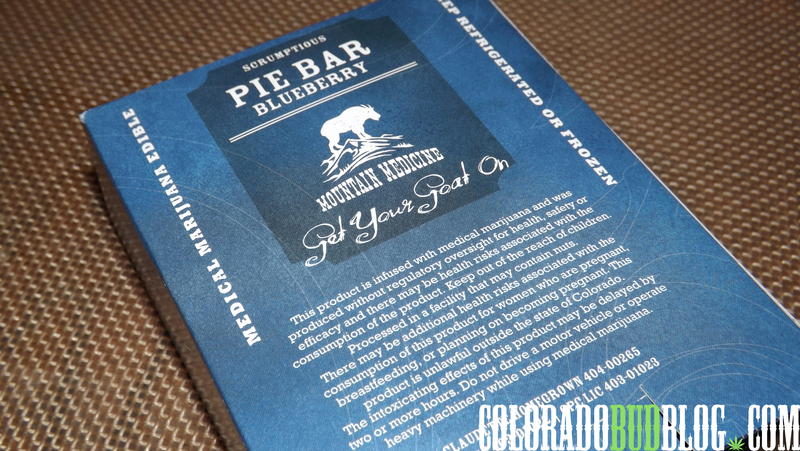 The Blueberry Pie Bar, in theory, sounds and looks amazing. 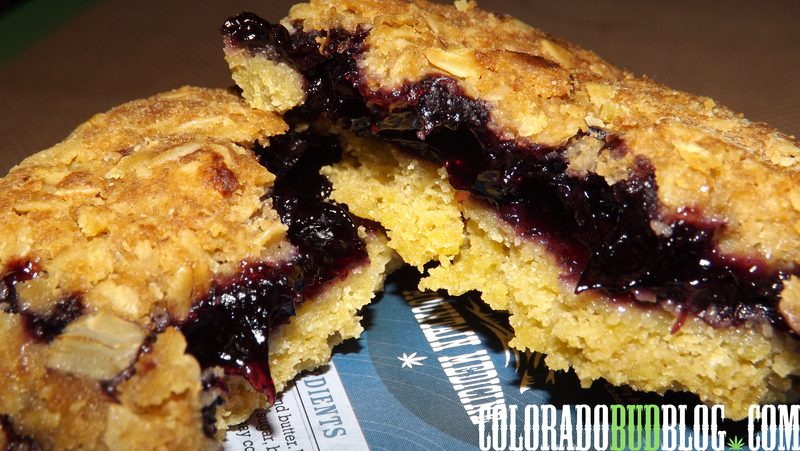 A blueberry filling is sandwiched in between a top layer of oats and a bottom pie crust. Bite in to it and you’re met with the same exact hash flavor with a hint of berry. The only part of this that actually tastes different is the blueberry filling, although the hash berry flavor almost completely overpowered the blueberry flavor I was looking for. 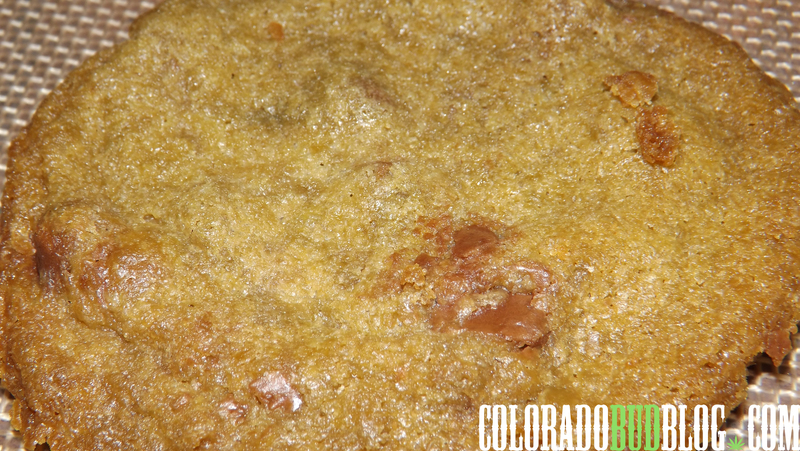 Once again, there is no information about the amount of THC in this edible, just the amount of “Active Cannabis”, whatever that means. It says 225mg “Active Cannabis”, and after eating the entire thing and not feeling a thing, I knew that it couldn’t mean 225mg THC. It also includes the “Cannabis Weight” of .75g, which at this point means absolutely nothing to me. After trying 3 different edibles from Mountain Medicine and feeling absolutely nothing but anger at the ineffective edible I just wasted my money on, I am confident that I will never buy from them again. 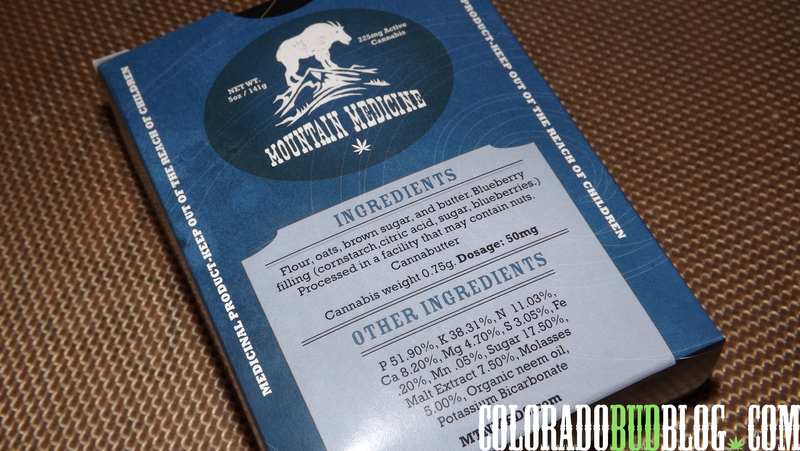 Hopefully someday Mountain Medicine will care more about their products and their patients to make a truly effective product. 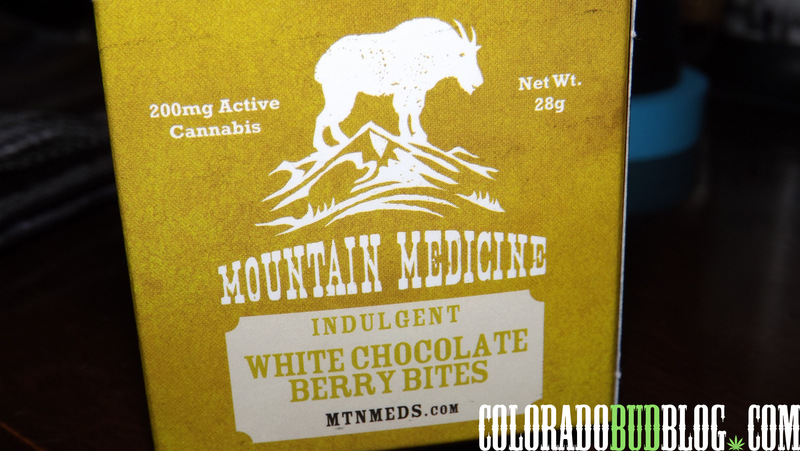 If you really feel the need to “Get your Goat on”, then visit http://www.MtnMeds.com.